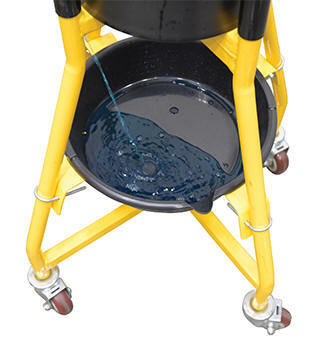 Unique dolly features elevated bucket/pail platform for better ergonomic position. 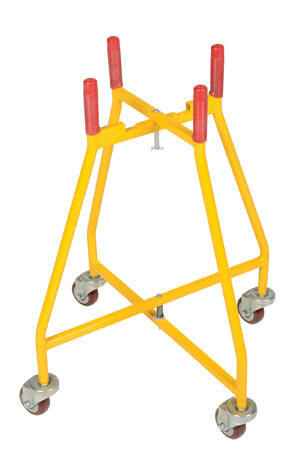 Elevated platform allows for better posture during use, which leads to less fatigue and strain. 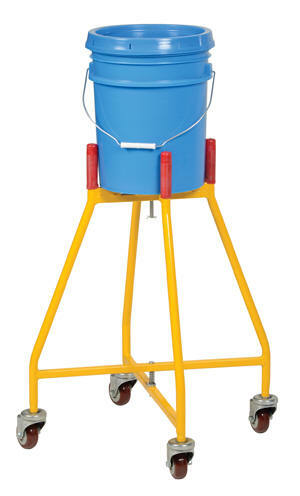 For use with maximum 10-9/16" diameter round buckets. 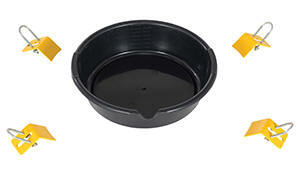 Also works with square buckets and boxes with maximum size 10-9/16" x 10-9/16". Design folds flat easily for storage when not in use. 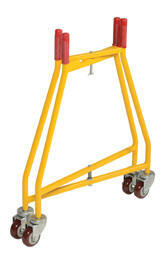 Portable on four (4) swivel poly casters. Steel construction with a yellow baked-in powder-coated toughness. Model PDF's Maximum Pail Size Overall Size Uniform Capacity Wt.